The Moroccan-inspired Capsian Grande pendant from Tech Lighting is visually stunning due to its large scale and teardrop silhouette. 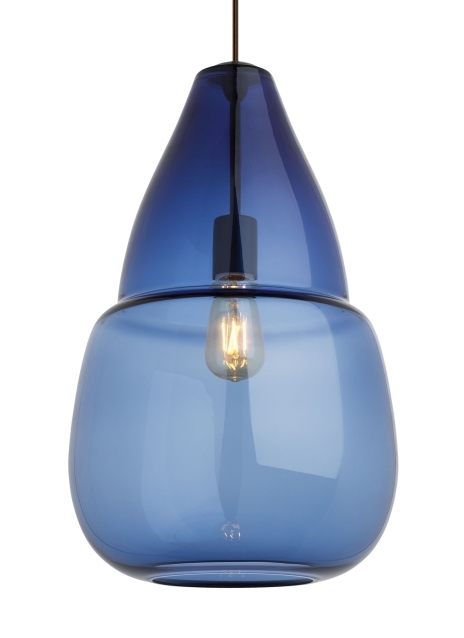 Hand-blown by Italian artisans the Capsian Grande provides a dramatic backdrop for its various lamping options. A key feature of this pendant is the beautiful clear draw at the crown of the ample. The modern Smoke or Steel Blue color options only accentuate the modern beauty of this unique pendant. Available lamping options include energy efficient LED or no-lamp, LED lamping option is fully dimmable to create the desired ambiance. Ideal applications for the Capsian Grande Pendant are living room lighting, dining room lighting and hallway spaces. Rated for (1) 60 watt max, E26 medium base lamp (Lamp Not Included). LED includes (1) 120 volt 3.5 watt, 250 delivered lumen, 2700K, medium base LED vintage squirrel cage LED lamp. Dimmable with most LED compatible ELV and TRIAC dimmers. Fixture provided with twelve feet of field-cuttable cable.